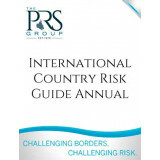 Political Risk Yearbook includes all 100 of Political Risk Services' Country Reports. 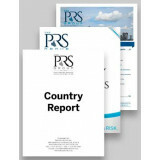 Published annually in January, every report in the Yearbook is updated each year to include the latest report for each country, as of December of the previous year. 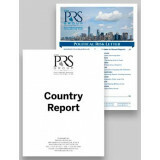 This set includes eight regional volumes, covering countries around the world. The current edition of the Yearbook is available Online, in Print, or on CD-ROM at the same price, although shipping/handling fees apply to both the Print and CD-ROM versions (see selections below). Some back issues are available, on CD-ROM only (inquire about details). Appropriate sales tax will apply to all versions. The online version of the Yearbook is available for campus-wide online access, but must be arranged by contacting PRS' Customer Services by e-mail to info@prsgroup.com or by telephone at +1-315-431-0511, Ext 0. 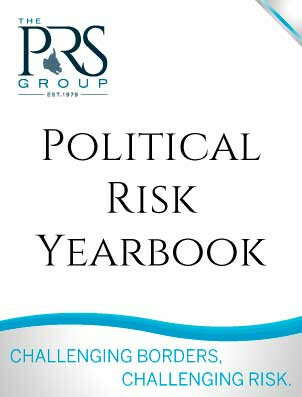 NOTE: To order volumes individually, select Political Risk Yearbook (Regional Volumes).